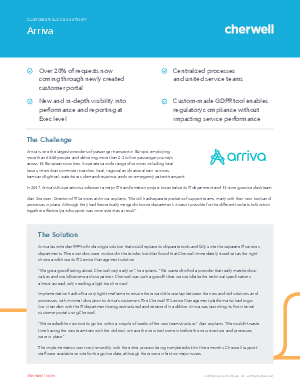 In 2017, Arriva’s UK operations underwent a major IT transformation project to centralize its IT department and 13-strong service desk team. Arriva launched an RFP to find a single solution that could replace its disparate tools and fully unite the separate IT services departments. Three vendors were involved in the tender, but Alan found that Cherwell immediately stood out as the right choice and chose its IT Service Management solution.